With the weather yo-yo-ing between clouds and rain and spells of lovely sunshine, it's fair to say we've had a typical British summer so far and the time we get to spend outdoors may be a little less than we would like. 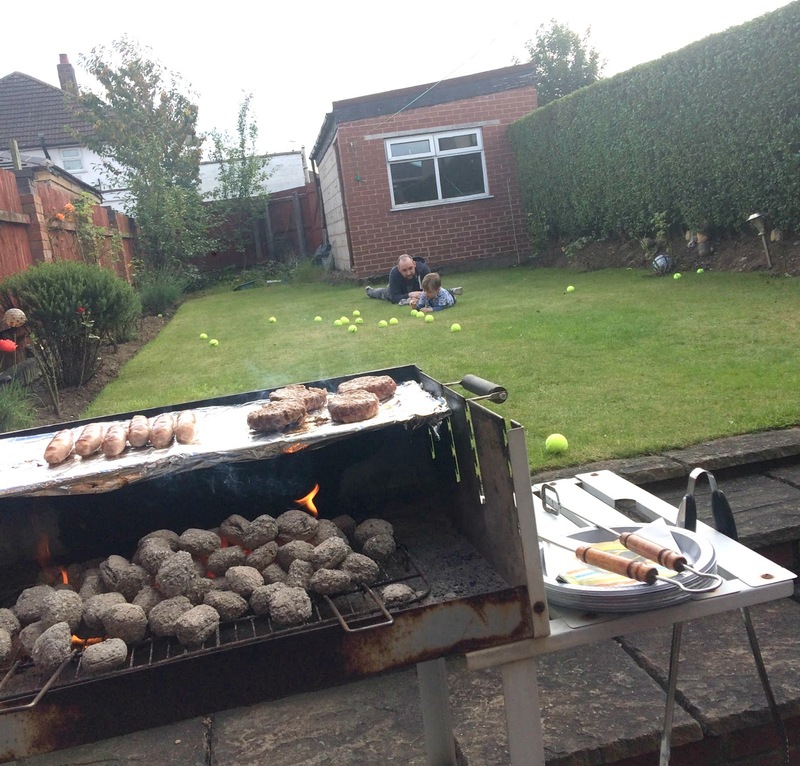 I actually managed to have my first BBQ of the year last weekend, when the sun had it's hat on for a little while, and it was really nice to spend some time outdoors with family, enjoying the garden, the company and of course, the weather. It's a shame that our summers often leave us disappointed and I would love to spend more time outdoors in our own garden, but it's just been so damp and dreary. Add to this the fact that any period of rain causes grass (and weeds) to shoot up all over the place in next to no time, and our garden can quickly become unruly so it takes a lot of time and effort to get it back into order. All of this makes me think that the best way to go is artificial grass. Realistic, easy to install and very easy to maintain, it can help create a luscious looking garden, all year round, come rain or shine. It's a great choice for families and for pets too as it's soft to play on and I really think it would make a big difference to our space - when we get the chance to use it, but also every day, when we look out the window to see a beautiful green lawn. As a way to celebrate Summer, Artificial Grass London is giving you the chance to win £100 worth of Sandown Artificial Grass (2m x 4m). The perfect prize for petite gardens or small lawns that need a refresh, every one has three chances to enter and increase their chances of winning - just visit Artificial Grass London for more information and to enter via the Gleam registration form. The competition closes at midnight on Monday 25th September 2017 so you have a few weeks left to enter. The lucky winner will be announced on the competition page and on the Artificial Grass London Facebook page on Tuesday 26th September 2017 so you could be enjoying your updated patch in time for autumn - but it'll still look like summer.